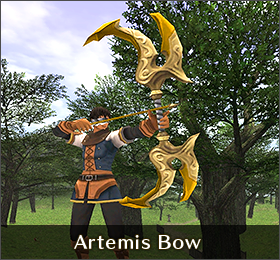 In July 2013, the Repeat Login Campaign was implemented into the game as part of the year-long FINAL FANTASY XI 11th Vana'versary celebration. This system was created to encourage players to log in every real life day in exchange for receiving points based on the number of days you sign on during each monthly campaign. These points increase when you reach certain breakpoints, which are explained below. You will automatically accumulate points once per day when you first log in. If you receive login points for a particular day and remain logged in until the next reset (0:00 JST) you will not automatically receive login points for that next reset. You must log out first and then log back in or change zones, to receive those points . Login point totals will be calculated separately for each character. You will receive login points each day upon logging in. These points may be exchanged for a variety of items. Up to 1,500 login points may be carried over from one month to the next. Note: Login points DO carry over from skipped months. See the table below for a visual representation of how many points you receive for each login. Each campaign generally lasts 21-23 days, for a maximum of 2500-2700 points available. If you have carried over points, you can get a maximum of 4000-4200 points at once in any month. First Login The first login will provide you with 500 points. Second login and beyond Each login will provide you with 100 points. 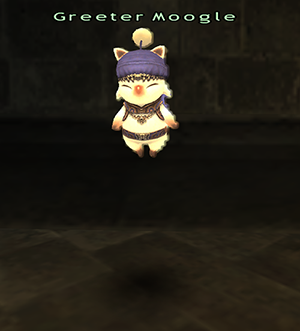 Speak with the Greeter Moogle at the following locations to check on how many points you currently have, as well as to exchange points you have for items. Note that the exchange period for points is usually a little more than a week into the following real life month. NOTE: Campaign points expire after the end of the redeem period for each campaign. Up to 1500 points may be transferred to the next month, but anything further is lost. *To view previous campaign rewards, see this page.